BELLA VISTA STUDIOS & APARTMENTS - Lichnos beach area. 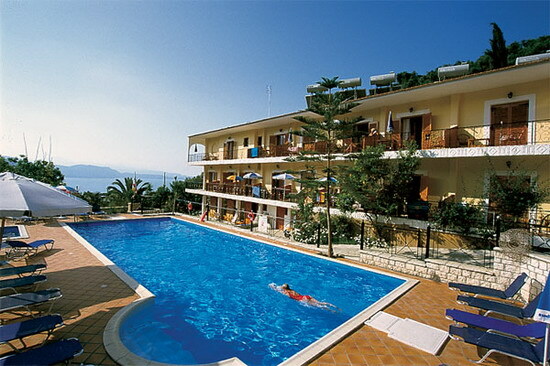 Set amongst tranquil orchards of beautifully scented orange and lemon trees, the Bella Vista Apartments offers magnificent views of Lichnos Beach and the shimmering turquoise Ionian Sea. 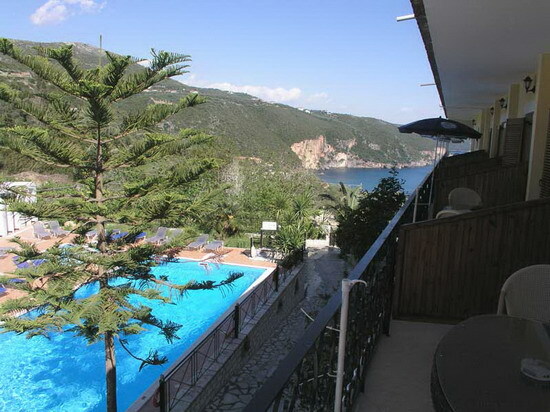 Located just 3 km from Parga town, in the peaceful hamlet of Lichnos, the Bella Vista is the perfect, peaceful location for a relaxing holiday. 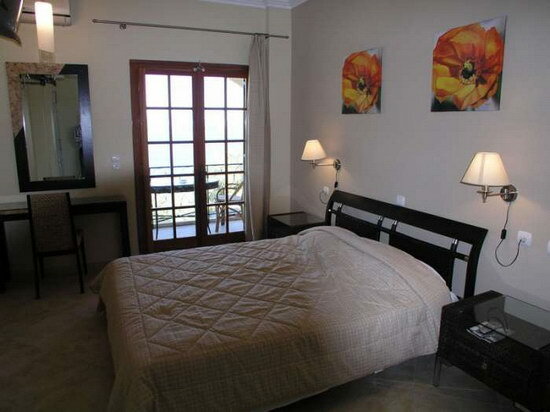 Recently refurnished and renovated, the attractive two floor main building consists of 16 well maintained, fully equipped studios and apartments which can accommodate 1 to 5 guests. 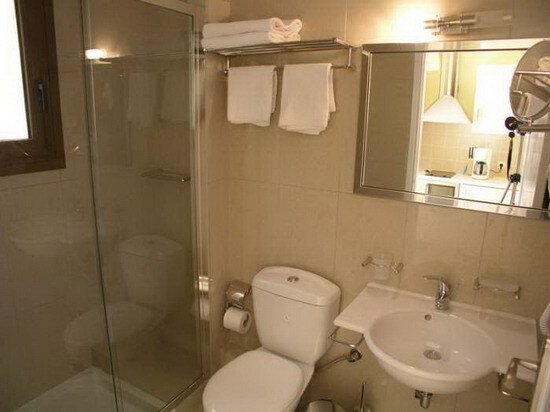 Each has a comfortable, spacious living area, bedroom, kitchen and bathroom. Much thought was given to the renovation. 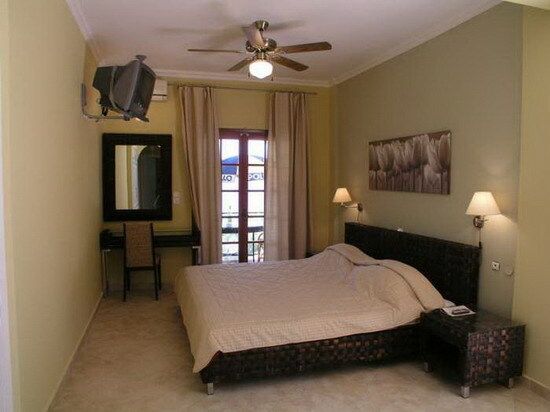 The studios and apartments have been tastefully decorated in a delightful colonial style. The large balconies offer breathtaking views of the hills cloaked in olive groves surrounding the area and the inviting waters of Lichnos beach. Even more tempting though is the large outdoor swimming pool with its smart terraced area. 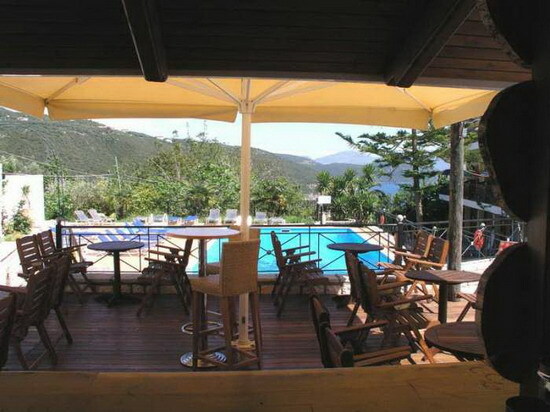 Here, you can enjoy a refreshing swim, relax on the sunbeds and sample the snacks and drinks prepared by Christos at the pool bar. If walking into Parga seems too much of an effort, there are a number of inviting restuarants and tavernas in Lichnos and a mini bus service which goes into the characterful town and back four times a day. It is so easy to relax and unwind and be idle at the Bella Vista, but it would be a shame not to visit some of the fascinating historical sites in the area. Car hire can be arranged at competitive rates (the apartments have a car park), or keep fit and hire a bike. 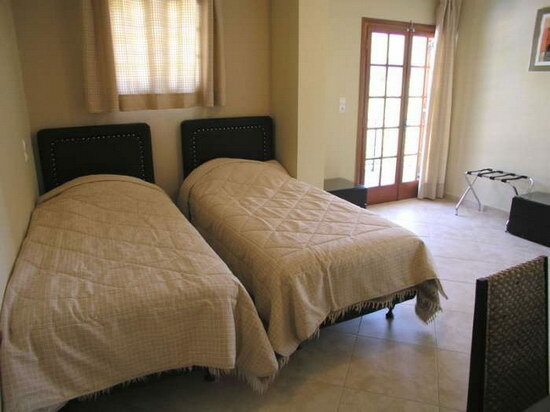 Studios on first & second floor The studios consist of a main bedroom for 2 or 3 persons and have a kitchenette area. All studios have newly equipped kitchenettes, brand new colonial style furniture, (some of the studios are modern in style) fridge, satellite tv, air-conditioning, safety deposit, hair dryer, shower cubicle and balcony. 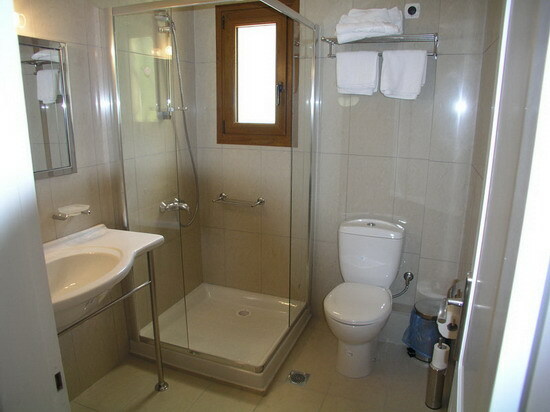 Studio on the ground floor by the pool One studio located on ground floor simple style. 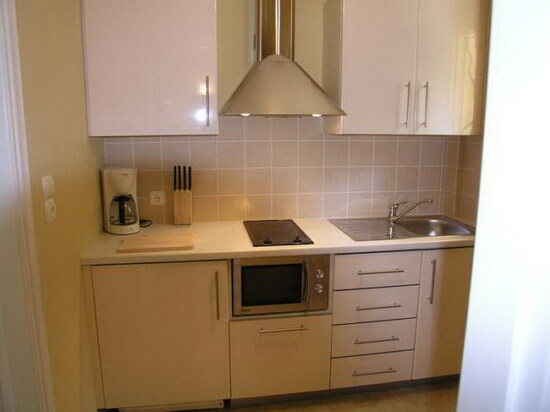 Features air-conditioning, kitchenette, fridge and terrace. The only unit without a view.